Celiac disease is a widespread chronic disease in the US and Europe that persists for a lifetime. It is assumed that one in 100 people are affected. In Europe, celiac disease is one of the most common food intolerances. Women are affected approximately twice as often as men. The disease has a variety of negative effects on reproductive health: Unexplained infertility, recurring miscarriages, stillbirths, menstrual disorders as well as impaired sperm quality can all be the result of untreated celiac disease. People with celiac disease suffer from gluten intolerance. Gluten is a mixture of proteins that is found in wheat, rye, barley and related grains. When wheat flour and water are combined, an elastic, glue-like protein composite (gluten) is produced through kneading. According to current knowledge, celiac disease is a mix between an autoimmune disorder and an allergy in which the immune system reacts adversely to certain components of the gluten and attacks the intestinal mucosa, which in turn becomes inflamed and damaged. This disrupts the absorption of nutrients. Typical symptoms of celiac disease include various types of digestive disorders, fatigue, impaired performance, pallor, depression and fertility problems. There are different clinical forms of celiac disease, and most of those affected have no or only few symptoms. Since there is currently no treatment for celiac disease, sufferers must adhere to a gluten-free diet for a lifetime. In couples struggling with infertility, 27 percent of cases can be attributed to ovulation disorders, and 25 percent of cases are due to unidentified male problems. In 17 percent of cases, the reason for infertility is unclear. Scientists have found that in women with unexplained infertility, celiac disease occurs 2.5 to 3.5 times more frequently than in women with normal fertility. Women who become pregnant but experience repeated miscarriages are also considered infertile. One possible reason why untreated celiac disease affects female fertility is that a lack of nutrients such as iron, selenium, folic acid and zinc occurs when a gluten-free diet isn’t followed. These nutrients, which are essential for good reproductive health, can’t be absorbed by the body because of damage to the intestine. Gluten intolerance also causes the formation of antibodies that attack the uterine lining and the embryo. The production of antibodies that attack the placenta and make it more difficult for the fertilized egg to implant itself is also assumed. Since implantation doesn’t occur properly, there is an increased risk of miscarriage. In addition, the blood vessels in the placenta are damaged by the antibodies, which means that the fetus receives an inadequate supply of nutrients. For this reason, many children are born with low birthweight. In men, untreated celiac disease can lead to impotence and loss of libido. Sperm quality also suffers because of nutritional problems. It has been shown that undiagnosed celiac disease can cause reduced gonad function (formation and delivery of sperm). These disorders can also occur in the context of oligosymptomatic celiac disease, which is not associated with any other symptoms. 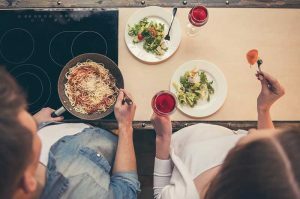 Over the past few years, a series of studies have been conducted to investigate how celiac disease affects male and female fertility. These have sometimes arrived at different results. Some studies have found a link between celiac disease and an increase in miscarriages and stillbirths in women who didn’t eliminate gluten from their diet. A meta-analysis by Italian researchers in 2016 found that women who aren’t able to conceive are five times more likely to suffer from celiac disease than the rest of the population. In women with recurring miscarriages, a sensitivity to gluten appears six times more frequently. The risk that the baby does not develop normally in utero is increased eightfold by the disease. 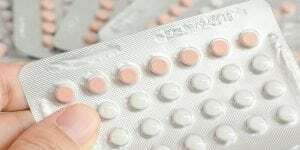 An Italian study conducted in 2000 found that undesired pregnancy outcomes can be avoided if women are tested for the disease. The researchers tested 845 pregnant women for celiac disease and diagnosed 12. Of these 12 pregnancies, seven had an undesirable outcome: three stillbirths, five premature births and three babies with low birthweight. After six months on a gluten-free diet, the 12 women who were diagnosed with celiac disease were able to report six successful pregnancies. A study comparing 94 untreated celiac patients and 31 treated celiac patients showed that the relative risk of spontaneous abortion was 8.9 times higher, the relative risk of having an underweight baby was 5.84 times higher, and the breastfeeding period was 2.54 times shorter in untreated mothers. All these factors could be corrected with a gluten-free diet. Another study on female fertility in celiac patients revealed a higher incidence of miscarriage in patients with untreated celiac disease. 15 percent of pregnancies in women with untreated celiac disease ended in miscarriage. In contrast, only six percent of women in the control group experienced a miscarriage. Mothers with untreated disease reported 120 live and seven stillbirths, while the control group had 161 live births and one stillbirth. One study involving patients who had suffered previous miscarriages showed that those who adhered to a gluten-free diet reported a 45 percent reduction in gestational loss and a 39.4 percent decrease in the birth of babies with low birthweight. Some studies also show that celiac disease is common in women with endometriosis and that celiac disease patients have a higher risk of thyroid disease. These studies prove that there is a strong link between the occurrence of miscarriages and stillbirths and undiagnosed celiac disease and highlight the importance of a gluten-free diet for reproductive health. There is also a link between celiac disease and the age at which menarche (first occurrence of menstruation during puberty) and menopause occur. Women with untreated celiac disease who did not eliminate gluten from their diets received their first period up to 1.5 years later than those who removed gluten from their diets. In addition, those with untreated celiac disease reached menopause four to five years earlier. 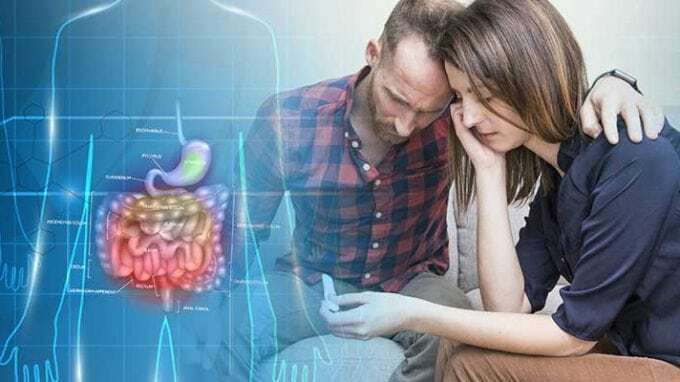 Although celiac disease affects women more frequently and there are more studies on celiac disease and female infertility, the disease can also affect male fertility. 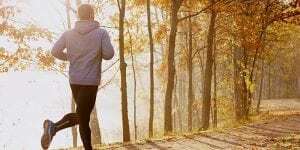 Hypogonadism (i.e., the body produces too little testosterone) is a known factor in male infertility. In seven percent of men suffering from celiac disease, hypogonadism was also found. Men with undiagnosed celiac disease have a higher number of abnormal sperm cells as well as unbalanced hormone levels. One study found that more than 19 percent of married men with celiac disease experienced sperm problems, especially regarding morphology and motility. Sperm motility was significantly reduced in two out of three celiac disease patients. Another study found that men with diagnosed celiac disease were more likely to suffer from androgen insensitivity syndrome, a condition in which the body doesn’t respond to the male hormone testosterone correctly. However, a Swedish study conducted in 2001, which followed 7,121 men with celiac disease into late adulthood, concluded that these men had about the same number of children as those without the disease. The results of the studies suggest that the absence of gluten has a positive effect on reproductive health. When they switched to a gluten-free diet, 70 percent of patients with celiac disease reported a decrease in symptoms within two weeks. Men and women who suffer from celiac disease must change their diet and refrain from gluten for a lifetime. Since a gluten-free diet is often associated with a lack of nutrients, it is important to opt for a gluten-free multivitamin/multimineral supplement in addition to a healthy and balanced diet. There are many gluten-free grain varieties that people who suffer from the disease can eat. These include whole grain products such as brown rice, quinoa, millet and amaranth, which are rich in vitamins and minerals. Fruit, dairy products, potatoes, fish and poultry as well as nuts and oils can also be on the menu. A dietary change should be made before pregnancy to ensure the health of the mother and child. In addition, vitamins, iron, calcium, folic acid and omega-3 fatty acids are essential before and during pregnancy. Although numerous studies on celiac disease and its influence on fertility have been published, the disease still receives too little attention. All women suffering from unexplained infertility should undergo a celiac disease screening, which tests for specific antibodies that indicate the disease. In addition, those diagnosed should switch to a gluten-free diet as soon as possible. Through a gluten-free diet, fertility can be improved, and a normal fertility rate that corresponds to the patient’s age can be achieved.